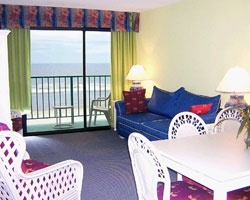 Indulge in an oceanfront getaway with a vacation at Maritime Beach Club North Myrtle Beach. Don't overpay to stay with SellMyTimeshareNow.com's impressive selection of resales and rentals priced up to 70% off retail. What’s My Maritime Beach Club Timeshare Worth? 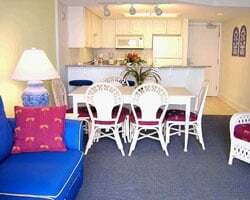 Guests can enjoy the excitement of South Carolina's Grand Strand while staying at Maritime Beach Club Myrtle Beach. The area offers a plethora of things to do and see, with local attractions including quaint shops, popular music theaters and shows, theme parks, water slides, and factory outlet stores. Golf and tennis are also just moments away, with plenty of scenic places to play. And at the end of a busy day, a tiki hut, whirlpool, sauna, and swimming pool await! 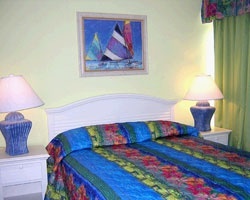 Gorgeous and comfortable studio, one-, and two-bedroom oceanfront accommodations are offered. Each comes with a private balcony overlooking the sandy beaches and gorgeous shores, ideal for watching the sun rise and set during your stay. Other desirable features include fully equipped kitchens, living and dining areas, comfortable bedding, and full bathrooms. You'll feel right at home while staying a luxury resort! Let us help you find the ideal Maritime Beach Club North Myrtle Beach resale or rental for your family today! Complete the form on the right or give us a call at 1-877-815-4227 for further assistance. Enjoy a coastal South Carolina getaway each and every year for a price you can afford. Don't think this is possible? With the timeshare resale market, you can save thousands on a by-owner advertised Maritime Beach Club timeshare. Shop from the comfort of your home and find incredible discounts on these properties. Owners price their timeshares based on the current and accurate market value, giving you a chance to save. These prices also do not include a sales commission or any additional hidden taxes and fees that resort developers tack on. As such, you can save as much as 70% off retail when you shop resale! Our inventory of Maritime Beach Club North Myrtle Beach resales features deeded fixed and floating weeks with annual usage, many within the popular Red season of ownership. With a Maritime Beach Club timeshare, you are able to customize how you vacation by choosing a fixed or floating week. Both have their benefits, it's just a matter of what works for you. Fixed allows you to travel the same week each year without needing to secure a reservation. 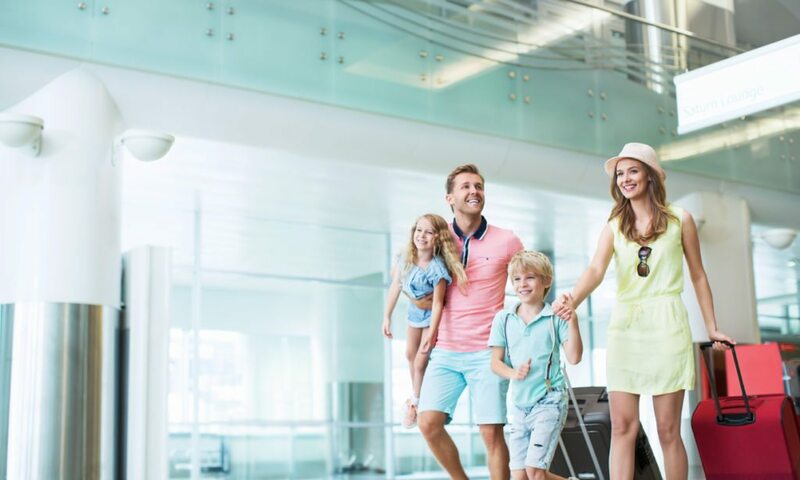 Whereas a floating week allows you to vacation in the same general time period each year, with the option to reserve from the general available weeks. As a Maritime Beach Club timeshare owner, you are able to utilize the external exchange services of RCI through an affordable annual membership. Maritime Beach Club is an RCI-affiliated resort property, allowing members to become RCI owners and explore their extensive portfolio of properties. RCI happens to be the world's leading external exchange company with a network of thousands of vacation ownership resorts located all across the globe. RCI members are able to deposit their timeshare weeks with the company, and then make a reservation at any of the available resorts of their choosing. This is an easy and affordable way to make the most out of your ownership while exploring the world. Maritime Beach Club has also received the RCI Hospitality Award for their commitment to offering the highest quality service to each and every guest. Maritime Beach Club North Myrtle Beach owners are also able to take advantage of the resort's affiliation with Interval International. Another global leader in the external exchange industry, Interval International features its own unique network of luxurious vacation ownership properties in the most desirable vacation destinations worldwide. Like RCI, Maritime Beach Club timeshare owners are able to purchase an annual membership to Interval International, deposit their timeshare week, and make a reservation at any of the resort available in their extensive inventory. As a Maritime Beach Club timeshare owner, you can purchase an RCI membership, Interval International membership, or both! Whatever you choose, you'll have virtually endless vacation options and can affordably travel the world. Maritime Beach Club North Myrtle Beach offers an oceanfront resort experience with a central location just four blocks from Main Street. This family-friendly destination truly has it all, with plenty of options for relaxation, fun, and adventure. On-site you'll find beautiful, wide beaches and incredible ocean views everywhere you look. Resort amenities include an outdoor heated pool and jacuzzi tub, a fitness center with sauna rooms, sports courts and other outdoor games, an activity center, seasonal Coconuts Tiki Hut Bar & Grill, and picnic area with barbecue grills. 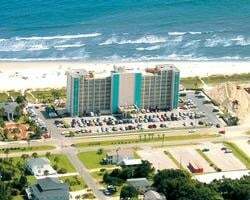 Maritime Beach Club is situated on the famous Grand Strand, boasting incredible attractions for all ages and interests including amusement parks, golf courses, the Carolina Opry, Dixie Stampede, live entertainment, and endless shopping opportunities. Of course you'll also discover plenty of unique eateries such as the popular Planet Hollywood. Make a lifetime of memories with your family when you vacation at the incredible Maritime Beach Club. Already Own at Maritime Beach Club?